It’s National Curry Week this week and Britain is a nation of curry lovers. It’s our most popular takeaway and we spend over £250 million a year on Indian food. Holmach has worked with many leading brands in the manufacturing of curry related items, from curry sauces and rice pouches, to chutneys and ready meals. Pataks is a household name in the UK, particularly for chutneys and curry sauces and Holmach has been instrumental in supplying the key thermal processing equipment, for getting the cooking sauces into families’ kitchens. To ensure the product is maintained at a core temperature, Holmach provided an in-line heating process, prior to filling. A rotary piston filler from CFT ensured the product was hot-filled before passing through a NIKO tunnel pasteuriser. Curry without rice is like… well…curry without rice! The two just go together; but cooking rice is considered a faff by some and the convenience cooked rice market has continued to grow. A survey in the Grocer last year estimated the rice pouch market to be worth £196m, an 8.2% growth, year on year. Holmach has the rice pouch market covered. 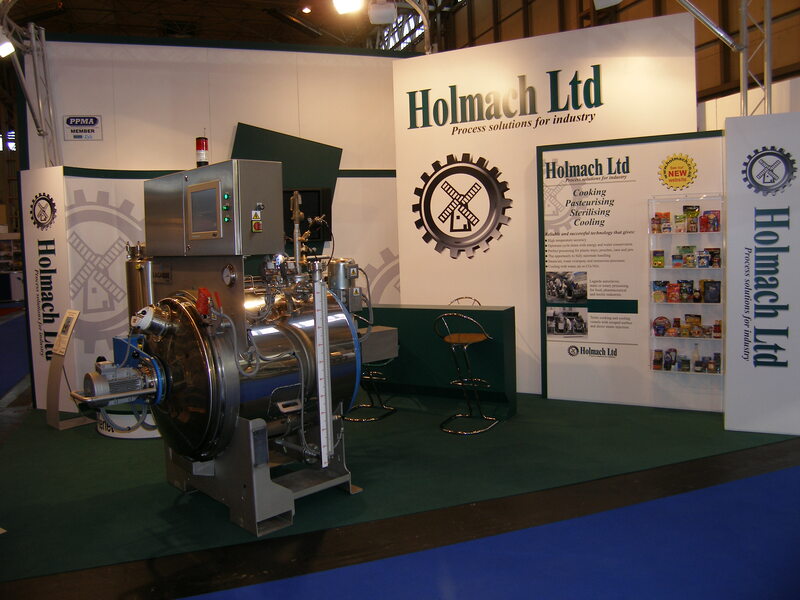 In fact, the entire UK rice pouch offering is produced on Holmach supplied technology! Take, for example, the Blue Dragon brand, produced by Westmill Foods. It is gently steamed and pasteurised in the pouch, in a Lagarde steam and air autoclave. It’s texture and shape is retained whilst killing food-borne bacteria such as bacillus cereus – common in cooked rice. Whether you’re a spicy lime pickle lover or prefer the sweet and fruity undertones of mango chutney, a poppadom just isn’t the same without some. As well as working with international food brands, Holmach also has the expertise to advise artisan and start-up food producers, who are looking to scale-up or refine their process. The Roboqbo cut-cook-chill vessel is perfect for producing batches of chutney, as the whole process takes around fifteen minutes. Cornish based Roskilly’s is a small batch producer and use Roboqbo technology to produce its range of preserves, including mango chutney. Optional blades can produce a perfectly smooth product or leave the chunks intact, if preferred. According to Euromonitor data, British consumers spend £4.7bn on ready-to-eat, convenience meals, with Asian inspired meals being the most popular. Holmach’s extensive knowledge in this technology has meant the company has supplied equipment to many major ready-meal producers, including Pro-pak Foods of North Yorkshire, which was for a curry-based ready-meal project.